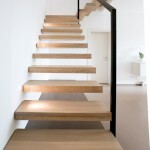 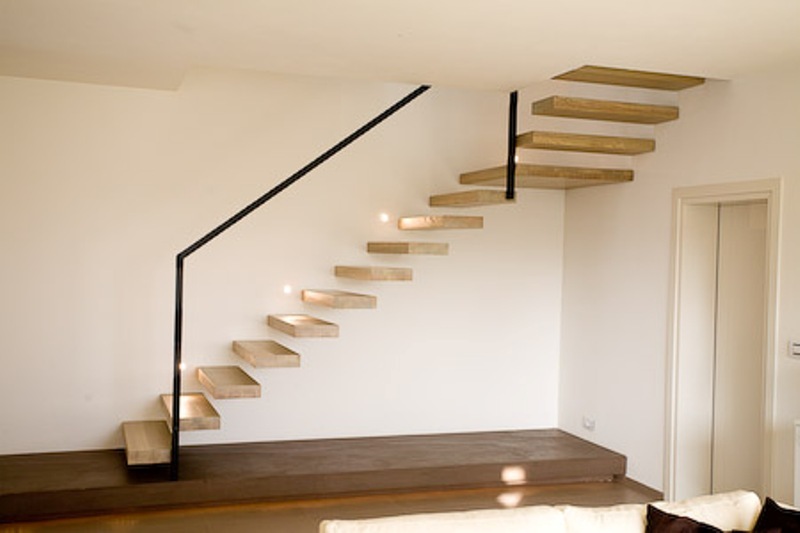 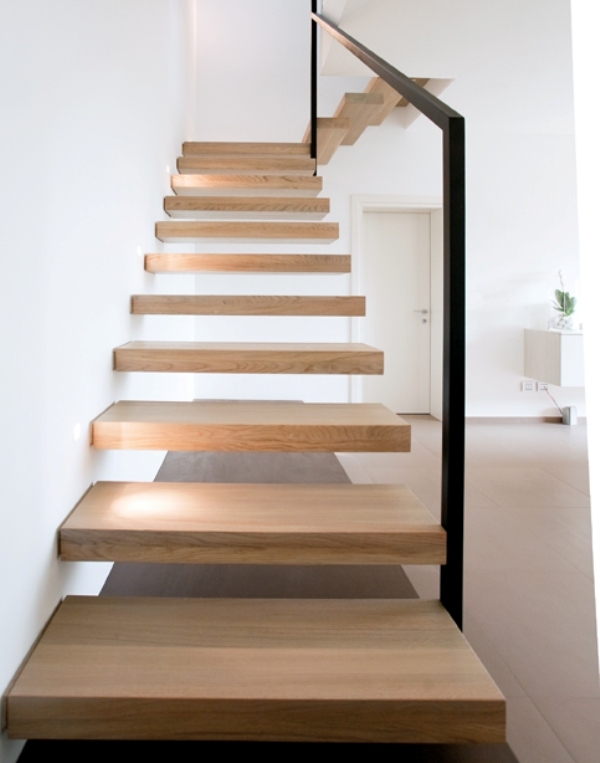 Open stair with self-bearing cantilevered steps and no external support. 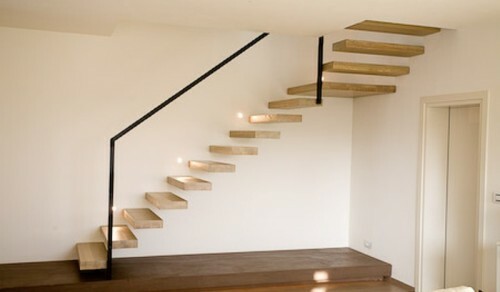 Durmast solid wood tread, finish from sample. 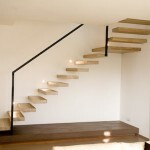 ONE/Q banister: 1 square steel tube painted with micaceous iron glaze , 609.0403 finish , onyx black .